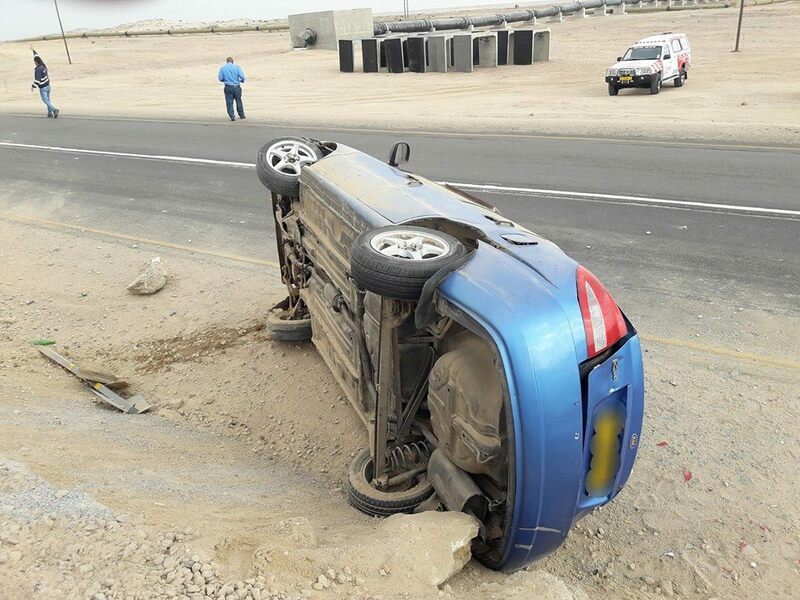 Law enforcement officers arrested the driver of a vehicle that rolled on service road next on the road construction site near the permanent Swakopmund traffic checkpoint after he ran away from the accident scene. The actual cause of the accident on Sunday afternoon is not clear bit is suspected that the driver hit a high gravel bank on the side of the service road causing his vehicle to flip over. None of the three occupants sustained any serious injuries. On closer inspection members of the Namibian Police found the driver of the vehicle hiding in a culvert not far from the scene where the car ended up on its side. It is suspected that the driver was under the influence of an intoxicating substance. 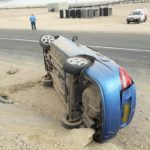 Earlier on Sunday about 35 kilometres from Usakos on the way to Arandis the driver and two other people that was with him in the car sustained minor injuries when the car rolled next to the road. It is suspected that one of the tyres on the vehicle burst and caused the driver to lose control. It is further suspected that the badly eroded sides of the road played a role in the potentially fatal failure of the vehicle’s tyres.